25/04/2019 - Hasil Milan vs Lazio 0-1, Le Aquile Lolos ke Final Coppa Italia! 21/04/2019 - Hasil Everton vs Manchester United 4-0, Siap-siap Finish Urutan Enam! 21/04/2019 - Hasil Juventus vs Fiorentina 2-1, Vecchia Signora Juara Delapan Kali! 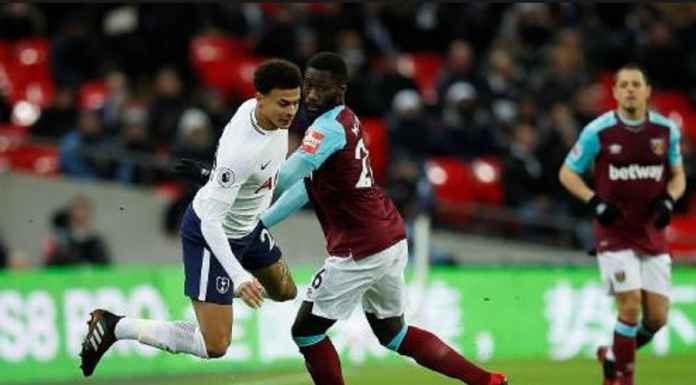 20/04/2019 - Hasil West Ham vs Leicester City 2-2, Gol Susul Menyusul! 19/04/2019 - Hasil Napoli vs Arsenal 0-1, The Gunners Masih Terlalu Kuat! 19/04/2019 - Hasil Chelsea vs Slavia Prague 4-3, Hampir Saja The Blues Dipermalukan! 17/04/2019 - Hasil Juventus vs Ajax 1-2, Bianconeri Gagal! Ronaldo Menangis! 16/04/2019 - Hasil Watford vs Arsenal 0-1, Kartu Merah Untuk Kapten Tuan Rumah! 16/04/2019 - Hasil Leganes vs Real Madrid 1-1, Untung Ada Karim Benzema! 15/04/2019 - Hasil Liverpool vs Chelsea 2-0, Perebutan Gelar Juara Kian Seru! 14/04/2019 - Hasil Crystal Palace vs Manchester City 1-3, Liverpool Stres!